When filmmaker George Lucas was asked in 1999 about the religious aspects of the Star Wars story, he didn’t deny that the legendary films borrowed elements from the world’s faiths. In fact, he said it was intentional. This meant it wasn’t easy for Christians to use the films as a parallel to biblical beliefs. In the midst of the good-vs.-evil story were elements borrowed from Hinduism, Eastern mysticism and even Greek mythology. When Solo: A Star Wars Story hits theaters this weekend, it will become the 10th live-action Star Wars film and the second “stand-alone” movie in the saga. Crosswalk asked seminary professor and author Timothy Paul Jones – himself a Star Wars fan – to explain the differences between a Christian worldview and the Star Wars universe. Jones is C. Edwin Gheens professor of Christian family ministry and associate vice president for the global campus at Southern Baptist Theological Seminary in Louisville, Ky. He also is the author of the 2005 book, Finding God in a Galaxy Far, Far Away: A Spiritual Exploration of the Star Wars Saga. 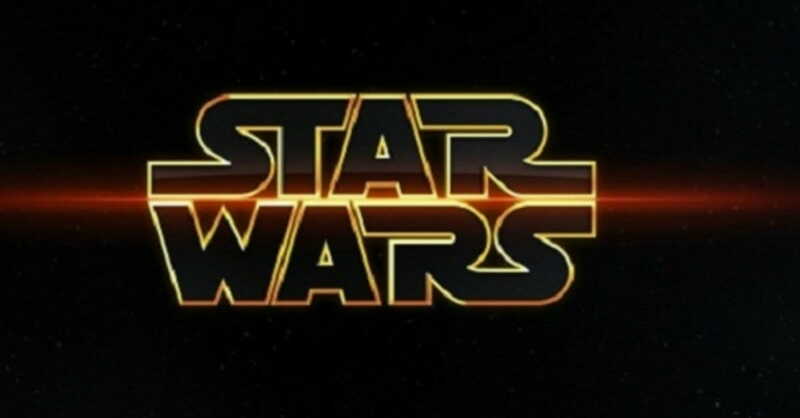 How does the worldview of Star Wars differ from a biblical worldview? The worldview of Star Wars is an inconsistent amalgamation that tries to pursue the pantheism of Eastern religions but ends up gravitating toward a Judeo-Christian point of view in which fallenness is redeemed through sacrifice. On the one hand, “the Force” is described as a pantheistic entity; it’s “an energy field created by all living things” in the words of Obi-Wan Kenobi. According to Yoda, “life creates it, makes it grow. Its energy surrounds us and binds us.” This is particularly clear in Episode VIII when Rey senses the Force as the power that binds all life together and thus belongs to the entire cosmos, not only to the Jedi. The Force can be used for good or evil and includes both a dark side and a light side, somewhat like Shakti in certain strands of Hinduism. Especially in the Star Wars prequels, much is made of seeking “balance” between the dark and light aspects of the Force. And yet, these Eastern religious perspectives are inconsistently applied. You say they're inconsistently applied. What do you mean? Despite all the talk about balance between dark and light, the heroes aren’t really seeking balance at all; they are consistently seeking the triumph of the light. And no wonder! Let’s suppose for a moment that the films resolved with a permanent impasse between evil and good, accompanied with an announcement of, “We’ve finally gotten the dark and light balanced! The end!” -- that would be even less popular than Jar Jar Binks and Greedo shooting first. No one wants a resolution like that. Why? Because the human heart does not yearn for a balance between good and evil in the universe; we long for a resolution in which good triumphs over evil -- and that’s ultimately what Star Wars has delivered thus far. It would be impossible for the movies to deliver a satisfying story while remaining true to a pantheistic worldview that pursues balance between dark and light. To deliver a satisfying story, the films must resort to a Judeo-Christian worldview with its linear metanarrative in which good triumphs over evil through sacrifice. That’s because the Creator of the cosmos has etched on every human soul a longing for redemption, a yearning for good that triumphs over evil through sacrifice. Star Wars cannot tap into this yearning while still remaining true to a pantheistic framework that merely seeks balance between dark and light. And so, the worldview of Star Wars turns out to be an inconsistent hodgepodge of Eastern and Judeo-Christian values. Another example of this inconsistency may be found in the fact that the Force is supposedly an impersonal energy field, yet -- at least in the prequels -- the Jedi seek to follow the “will of the Force.” A “will,” however, is something that only a personal entity can have! Once again, Star Wars is unable to deliver a satisfying storyline while remaining completely true to a pantheistic worldview. How has the worldview changed – if at all – as the saga has progressed? There is a rather fascinating resilience to the Star Wars saga that has enabled it to remain true to its source material while simultaneously adapting itself to current trends. The original trilogy from the late 1970s and early 1980s was highly spiritual and the Force remained mysterious but powerful and deeply present. At the turn of the millennium, the prequels attempted to explain the Force as a scientific phenomenon by attributing the capacity to use the Force to midichlorians that can be detected and counted through a blood sample. Today, the Star Wars Story films present us with a more secularized Star Wars universe in which the Force remains in the background, little more than a power that enhances an individual’s strength. At the same time, the new trilogy seems to be wrestling with the perceived failures of ancient Jedi and with how the old religion can be reimagined for the future. You mentioned pantheism. How does it differ from Christianity? We as Christians are theists -- that is to say, we believe in a personal deity who is separate from his creation. Multiple forms of pantheism may be found in Hindu practices and pagan philosophies that predate Christianity. Modern pantheism traces back to the centuries following the Protestant Reformation -- and pantheism attracted far less applause then than now. The Roman Catholic Inquisition executed Giordano Bruno for proclaiming pantheist perspectives; the Jewish community of Amsterdam excommunicated Benedict Spinoza on similar charges. In the 19th century, earlier trends toward pantheism mingled with the idealism of Prussian philosopher Immanuel Kant to spawn "transcendentalism." Transcendentalists such as Ralph Waldo Emerson and Henry David Thoreau promoted pantheistic ideals in American contexts, with Emerson declaring himself to be a "part or parcel of God." The problem with pantheism is precisely the same as its attraction. In the words of C.S. Lewis, "The pantheist's God does nothing, demands nothing. He is there for you if you wish for him, like a book on a shelf. He will not pursue you." The pantheist "god" is a deity in the background, available in all things but interrupting nothing. And yet, it seems that some form of pantheism may be more common among people in the pews than most of us would care to admit. According to a Pew Forum study, nearly one-fourth of professing Christians believe there is "spiritual energy" to be found within such natural entities as trees and mountains. Are there other spiritual or religious aspects of the Star Wars universe we should know about? When it comes to Star Wars and the Bible, one of the most fascinating aspects of The Last Jedi was, for me, the revelation that there are authoritative Jedi texts. The Jedi temple in Episodes II and III had a library, but it wasn’t clear whether the Jedi had ever relied on written texts. In Episode VIII, we glimpse a small canon of sacred texts that Luke Skywalker has preserved in his self-imposed exile. “Page-turners, they were not,” Yoda admits, but Luke sees them as valuable nonetheless. When I saw the Jedi temple on Ahch-To go up in flames and heard Yoda say that Rey already had everything she needed, I inwardly groaned and assumed that the film was setting us up for yet another example of the overused cliché in which the hero discovers inside himself or herself everything that’s needed to overcome the enemy. I took the meaning to be that Rey would find in herself everything she needed. But then, at the end of Episode VIII, it’s revealed that Rey took the sacred texts when she left Ahch-To, which gives an entirely different meaning to Yoda’s words. She has taken the texts with her and thus she possess what she needs to found a new and different Jedi order. It’s worth considering what this perceived need for a canon of written texts means for us as Christians, who practice a faith that was grounded in written texts even in its earliest stages.